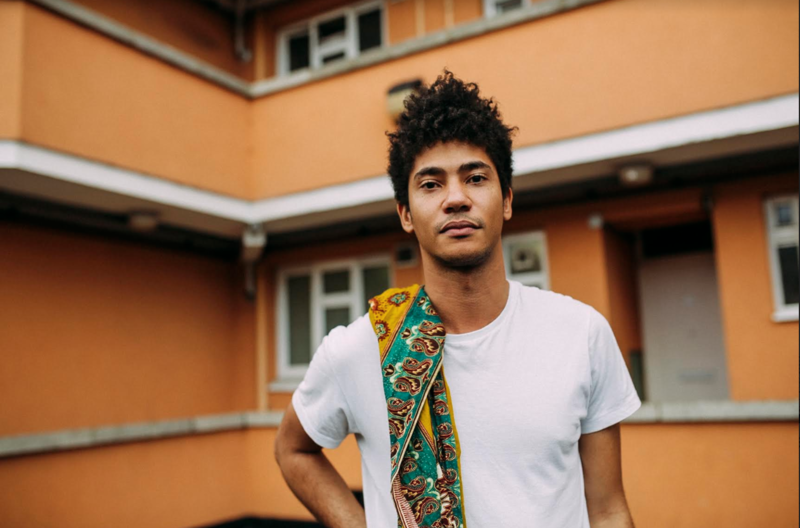 Doncaster artist Skinny Pelembe is completing a UK tour celebrating the release of his EP, Sleep More Make More Friends. With an indie-Jazz outlook that’s grainy yet sweeping, it takes us a step deeper into the mind of the vocalist, guitarist and producer. His music career began not long before being picked up by artist development initiative Future Bubblers; they’ve supported the early careers of Poppy Ajudha, Mali Hayes and Yazmin Lacey. Skinny Pelembe took some time out before a show to tell us about dealing with expectation, and a scene from his Leeds show that was reminiscent of a romantic musical-comedy circa year 2K. Tell us about being a Future Bubbler; how have they helped you to develop creatively? Creatively, I feel Future Bubblers “got me” from the very beginning, as much as I’ve always wanted to make music for the dancefloor, they equally encouraged the side that wants those dancefloor tunes to also be folky ballads! Just knowing that people you really respect can see your vision and encourage you is everything. Sleep More Make More Friends is out. What’s it like sharing a record of tracks that you’ve written and gotten to know so intimately over several months? Far less nerve-wracking than with the Spit/Swallow EP. With that one I felt like all of the Brownswood fanboys would be judging every aspect of my tunes with a magnifying glass. Not that it should ever really matter, but getting such great radio response definitely made me feel somewhat “accepted”, by who, I don’t know, but by the time we put SMMMF out I felt way more assured about what I was doing, and if others don’t get it, who cares! (The accountant definitely cares). I guess I feel more comfortable now sharing aspects of myself through music that I guess I wouldn’t normally be so quick to reveal in conversation. You’re creative in a variety of ways; singing, playing guitar, producing, even designing the cover for Sleep More, Make More Friends. Tell us about how you fuel your creative streams. I just feel like I’ve got a lot to prove. When I see someone paint something dope or someone play some wicked guitar line I just want to compete. I want to get involved! I think between those activities I’ve got a full enough plate though, I’m in no rush to try and win any squash tournaments or ‘owt just yet. What’s been your favourite moment or experience when touring so far? Ah man, it’s all been so great. I literally never want to go home. The sentimental favourite was getting to the first date, in Glasgow, bricking it cause I thought it would be empty, and walking into a full room. My actual favourite is that my best mate came to the Leeds show, dancing on tables in Oporto and getting kicked out for drinking out of the beer taps. Reading that back, it sounds like a scene from Coyote Ugly, hopefully it didn’t look very Coyote Ugly. Who are the last three artists you listened to with earphones/headphones on? You’re on tour at the moment; what’s coming next? Another tour! I’m opening for Maribou State in October.